The film is based on the book of the same name by Egyptian author Mohamed Sadek. 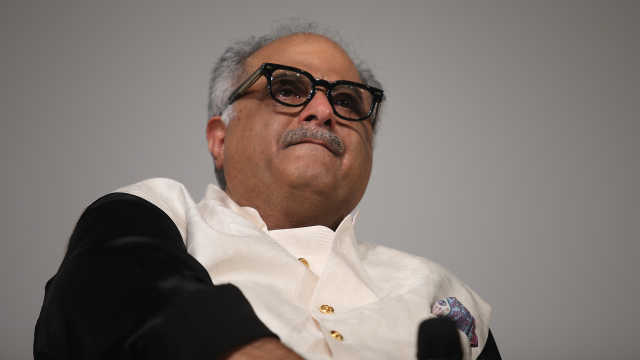 Veteran producer Boney Kapoor will official remake the hit Egyptian film Hepta: The Last Lecture, in Hindi. He will produce with film under his banner Bayview Projects, while Fresh Lime Films will be the co-producer. The makers haven’t shared the cast of the film and other details. Directed by Hadi El Bagoury, Hepta is based on author Mohamed Sadek’s book of the same name. The story revolves around the seven stages of love. The film turned out to be one of the highest grossing romantic films of Egypt. He hopes the cinematic relationship between the two countries flourishes in the future. “I strongly believe that this is only the beginning and we shall soon be seeing films from Egypt and India being remade in their respective languages,” added Kapoor. In addition to Hepta, Kapoor is also behind the Tamil remake of Aniruddha Roy Chowdhury’s Hindi film Pink (2016), which featured Amitabh Bachchan and Taapsee Pannu. The film is titled AK 59 and it features south superstar Ajith.